"The treasurer for the Association for Social Reform invests proceeds of a jumble sale into gilt-edge securities." Here's a view with a brief bio of Paul Ryan's natal chart, born January 29, 1970 at 2:37 am CST Janesville, Wisconsin (RR: AA; BC/BR in hand). You've probably noted before his exact conjunction of Neptune and Ascendant @00Sag which makes Jupiter (at 6Scorpio = "A Gold Rush") his chart-ruler with the moneybags planet's only aspect an inconjunct to Mars, strong in its own sign of Aries--and conjoining healing Chiron (0A01) at 3Aries (4th house). Mars-Chiron gives the Speaker an heroic quest or mission to aim for and it's filled with Martian fervor. For besides Trumpcare, we must not forget Ryan's previous budget plan of draconian measures, another GOP scheme of heisting proportions! 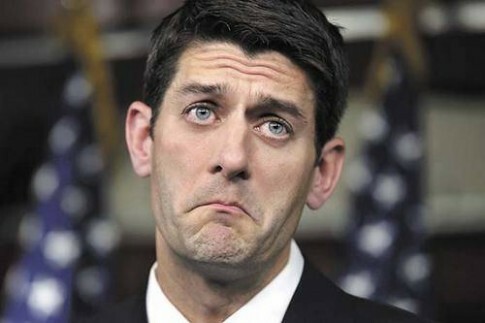 So Speaker Ryan is a crusader, we might say, and he's aided in his quest by an ambitious Locomotive shape that's lead by powerful, wealthy Pluto Rx in late Virgo, sign of Health, in his natal 10th house of Career and Public Status along with a most fortuitous placement for any politician's Moon--at 23Libra conjunct starry Spica and Arcturus. Spica in the original plan for the District's Federal Triangle represents the Washington Monument and thus, the presidency, while Arcturus signifies the White House (As Above, So Below). How interesting since, as Speaker of the House, Mr. Ryan is third in the line of succession for the presidency should Mr. Trump and Mr. Pence somehow fall by the wayside. Then we'd have ourselves a President Ron Ryan! Sun Sign-Moon Sign, Charles and Suzi Harvey.